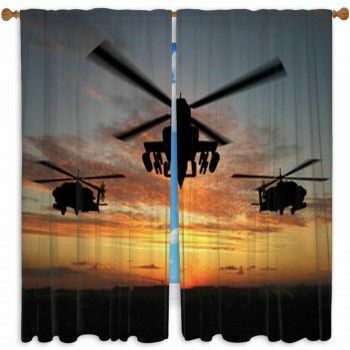 Give your home the aura of living in an exclusive neighborhood by hanging up our polo window curtains. 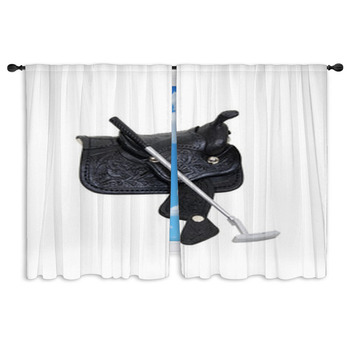 You'll feel like you're peering out of the window of a luxurious mansion onto the polo grounds at polo players racing after the ball and battling for control with their sticks. 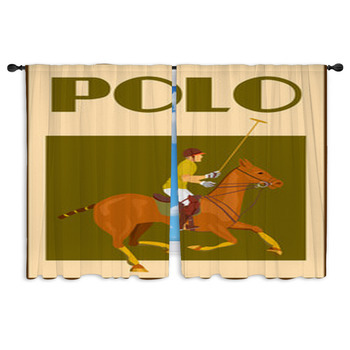 And your rec room will have the ambiance of a polo club house after you've hung drapes that showcase classic polo symbols. 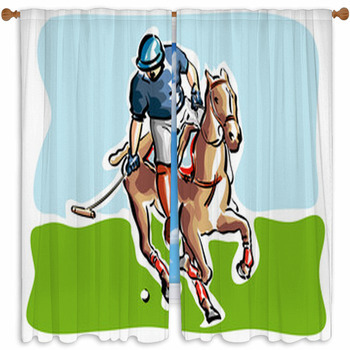 On one set of custom size curtains, a polo player in a red jersey and white pants is riding his sleek brown horse over a grassy green field. 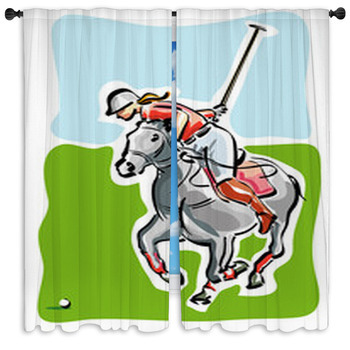 It's a perfect day for a polo match, as wispy white clouds drift through a blue afternoon sky. 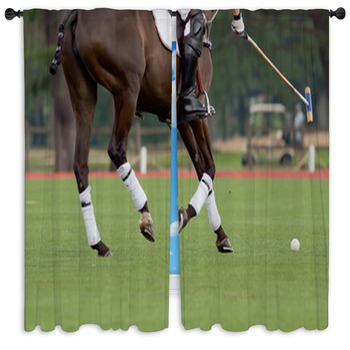 Then get into the ferocity of competitive polo with a window valence that shows a photo image of three polo players twisting their bodies and maneuvering their dark brown horses after the bouncing ball. 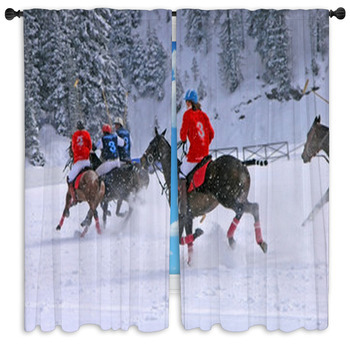 Next, go for polo window curtains that depict the artistry of this sport with visual art. 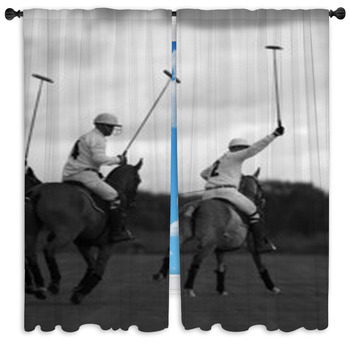 These include curtains that are patterned with an illustration of two polo players in traditional gear as they swing their mallets after the ball. 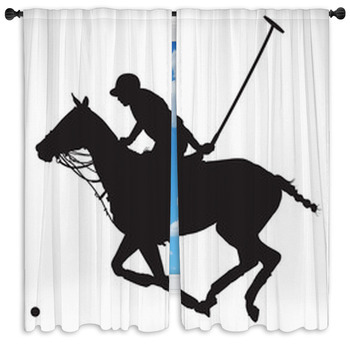 Another design for drapes displays an elegantly rendered scene of three polo players drawn as black silhouettes against a white background. 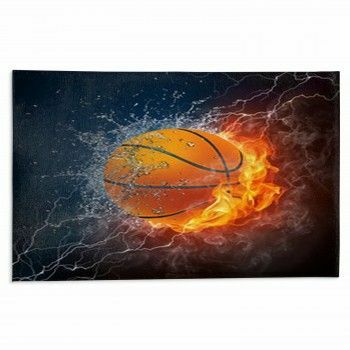 The colors are flipped on the left side, with a single white silhouette set against a roughly torn open section of black. 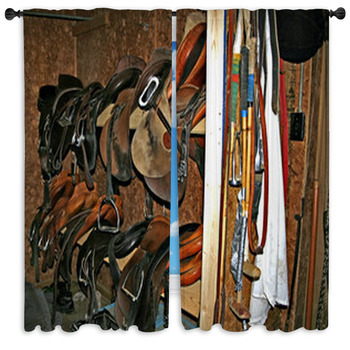 The game of polo dates back centuries to the royalty of England. 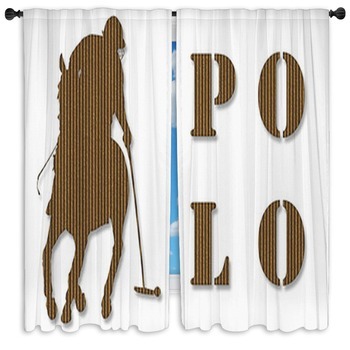 So of course we also have polo window curtains that showcase a variety of classic polo badges and medallions. 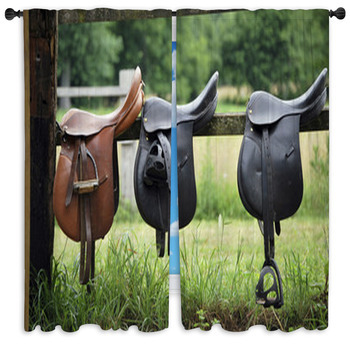 These feature the red, white and blue crosses of the British flag, medieval shields, gold trimming and blue, black and white silhouettes of polo riders. 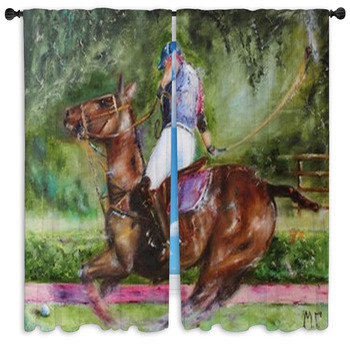 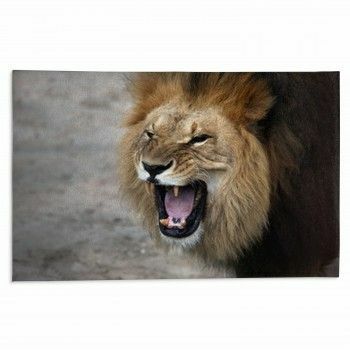 Saturate your home with images of this royal game by adding polo themed rugs and wall art.